Historically, any Jewish group which denied the basic principles of Jewish tradition – Torah and mitzvah-observance – ultimately ceased to be part of the Jewish people. The Sadducees and the Karites, for instance, refused to accept certain parts of the Oral Law, and soon after broke away completely as part of the Jewish People. The Hellenists, secularists during the Second Temple period, also soon became regarded as no longer “Jewish.” Eventually, these groups vanished completely. Early Christians were the original “Jews for Jesus.” They accepted the Divine revelation of the Torah, but not the eternal, binding nature of the commandments. Initially, these Jews were reliable in their kashrut, and counted in a minyan. But the turning point came when Paul, realizing that Jews wouldn’t accept the concept of a dead Messiah, opened up membership to non-Jews. At that point, these “Jews” experienced a total severing of Jewish identity. My understanding of the early Jewish disciples of Yeshua (Jesus) puts me at odds with this Rabbi. The Rabbi pre-supposes that Paul “opened up” membership into the First Century CE Jewish religious stream once called “the Way” to the Gentiles because “Jews wouldn’t accept the concept of a dead Messiah.” Except the record in the Apostolic Scriptures shows that Yeshua (Jesus) commanded his apostles to make disciples of the Gentiles (Matthew 28:19-20), and that he later commanded Paul to be an emissary to the Gentiles (Acts 9). The Biblical record also doesn’t present the issue of a “dead” (resurrected) Messiah as one of the objections some synagogues had to Paul’s message. Now when they heard this, they were pierced to the heart, and said to Peter and the rest of the apostles, “Brethren, what shall we do?” Peter said to them, “Repent, and each of you be baptized in the name of Jesus Christ for the forgiveness of your sins; and you will receive the gift of the Holy Spirit. For the promise is for you and your children and for all who are far off, as many as the Lord our God will call to Himself.” And with many other words he solemnly testified and kept on exhorting them, saying, “Be saved from this perverse generation!” So then, those who had received his word were baptized; and that day there were added about three thousand souls. As Paul and Barnabas were going out, the people kept begging that these things might be spoken to them the next Sabbath. Now when the meeting of the synagogue had broken up, many of the Jews and of the God-fearing proselytes followed Paul and Barnabas, who, speaking to them, were urging them to continue in the grace of God. I don’t perceive that Paul switched his emphasis of going first to the Jews with the good news of Messiah and then only to the Gentiles (Romans 1:16), nor that he was encouraging Jews to abandon the Torah (as he was falsely accused of). And yet these seem to be common themes that run through most Jewish objections to Yeshua and particularly to Paul. I do think the Rabbi is somewhat correct in saying that the large influx of Gentiles into the ancient Messianic movement ultimately resulted in a messy Jewish/Gentile schism that did not remove Jewish identity from Jewish Yeshua believers, but did transform the movement into the new Gentile religion of Christianity (which was done by the early Gentile “church fathers,” not by Paul). Jewish participation in Yeshua-devotion as a Judaism subsequently dwindled and finally was extinguished for many centuries. Early Christians were the original “Jews for Jesus.” They accepted the Divine revelation of the Torah, but not the eternal, binding nature of the commandments. Initially, these Jews were reliable in their kashrut, and counted in a minyan. My opinion based on scripture is that the early Yeshua-believing Jews very much did accept the Divine revelation of the Torah and the eternal and binding nature of the commandments. There was no dissonance between Jewish identity and performance of the mitzvot and the revelation of the resurrected Messiah. Here at RPP, we very much believe that Messianic Jews are free to observe the Torah, or not to, according to their consciences. There is certainly no obligation to keep Torah. Some Messianic Jews still keep Torah as a “witness” to other Jews. If we keep Torah, the logic goes, Orthodox Jews will realise that it’s okay to be Jewish and believe in Jesus. When it comes to “witness”, however, we think that continued Messianic Jewish Torah observance has the opposite effect. It sends a mixed message to the Jewish community. According to Judaism, when Messiah comes the Torah is abolished. Messiah’s followers now keep to a new law, not Torah. So when Jews see us claiming the Messiah has come, but we should still keep the Torah, we are sending a mixed message. We are saying Messiah has come already, but we’ll act as if nothing has changed by continuing to keep Torah. According to Judaism, when Messiah comes, there is no more Torah. In order for Messianic Judaism to act consistently with the values of Judaism, Messianic Jews would have to abandon Torah. The King Messiah and the Sanhedrin will restore the Sabbatical system and the Jubilee (which involve seven-year counts and a fifty-year count), as well as all other Commandments that we are unable to fulfill today. He will uphold and restore complete performance of the commandments and complete obedience to Hashem and His Torah. He will cause all Jews in the entire world to fulfill the Commandments of the Torah, and to uphold and strengthen the one and only true Judaism. Likewise, he will succeed in getting all the nations of the world, everyone alive, to acknowledge and serve the One True G-d, Hashem. This does not mean that they will convert and become Jews. It means that they will keep the Seven Laws that Hashem commanded the children of Noah. The King Messiah will be extremely learned in Torah and absolutely observant of all the Commandments as taught and explained in the Oral and Written Torah. The Messiah will not need to perform any miracles to prove who he is. Nor would the miracles be very significant. The Messiah’s purpose is to bring about the return of the Jews from exile, to restore our united practice of the Commandments of the Torah, to raise our conciousness to a high level of fear and love of Hashem, and to reinstate the Jewish kingdom in the Holy Land of Israel as Hashem originally established it under King David. Those are the Messiah’s essential purposes. Even bringing peace and affluence to the world will be only so that the world will be able to peacefully pursue our purpose of serving Hashem through Torah study and prayer — Jews as Jews, and Gentiles as Gentiles. Performing miracles is not particularly meaningful, since the Messiah will be an obviously righteous man, and the Torah commands us to obey the righteous. What I’m driving at here is that all the miracles in the universe do not make someone Messiah, if he is not righteous. jesus, who contradicted the Torah, could not have been the Messiah, no matter how many miracles they claim he performed. The real Messiah, when he comes, may or may not perform miracles, but he will certainly not contradict the Torah in any way, shape or form. Sorry about the really long quote, but I wanted to make sure that I got the point across (and to that end, I bolded the word “Torah” above) that the Jewish understanding of Messiah does not require the removal of Torah observance and in fact, Messiah and Torah are inexorably intertwined. The RPP writer is entitled to their opinion, but I really don’t see that such a viewpoint is sustainable based on the Tanakh, Apostolic Scriptures, or Jewish traditions. 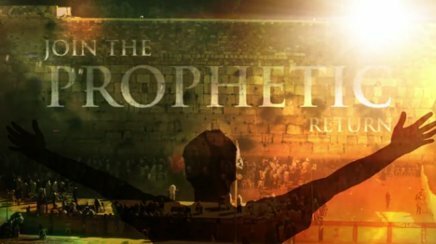 You should also watch this thirty-minute episode of First Fruits of Zion‘s television program The Torah is not Canceled (free to be viewed online). I say all this in support of Jewish Torah observance, whether Messianic, Orthodox, or otherwise. Messianic Jewish observance of the mitzvot isn’t a “witness,” it is obedience based on covenant obligation. The Jewish view of the New Covenant makes this plain. I’m forced to disagree with both the Aish Rabbi and the RPP author that Jewish devotion to Yeshua results in loss of Jewish identity and abandoning Jewish covenant responsibilities to Hashem (or making Torah observance optional for Jews). Granted, in the long history of Christianity, the Church has required that Jews surrender their identity when coming to faith in Messiah, but all that has changed. Gentile Christianity no longer is the sole keeper of the Keys to the Kingdom, and Jews now have an avenue by which they can reclaim their own King and their own Kingdom and remain Torah observant Jews. I realize that I’ve most likely really offended a bunch of people by writing and publishing this and certainly that’s not my intention. I am quite aware that opinions differ widely within Messianic Judaism as to just how “Jewish” Jews in Messiah should be. I suppose some would see me as a radical for my belief that Messianic Jews should remain firmly rooted in Jewish identity, Jewish community, and Jewish devotion to Torah and to keeping and guarding the commandments. Yes, I’m speaking of an ideal state of the movement rather than the fractured reality of today’s Messianic Judaism, but I believe there will come a time when all Jews will be drawn back to the Torah by Messiah. If anything, and I’ve said this just recently, the job of Gentiles in Messiah is to help facilitate Jewish observance of the mitzvot. A Christianity (or Messianic Judaism) that preaches otherwise denies the New Covenant promises God made to Israel. Hmm. Interesting in the Aish statement to see that misstatement of Jewish-Christian history is a two-way street, and is using a strawman “other” to distinguish and bolster your own (endangered) identity. The problem with knocking down strawmen is eventually the real man shows up, the real man here being Messianic Jews who are zealously, legitimately Torah observant and want reconciliation with the wider Jewish community. It is incumbent on us to make, maintain and grow such a MJ community that the wider Jewish community cannot deny or ignore any longer . . . as is already happening. To be fair Louis, I don’t doubt that the Aish Rabbi believes every word he says and writes. How Christianity understands Judaism and how Judaism understands Christianity is largely driven by tradition. It’s only when we step outside of our traditions and attempt to engage the Biblical text on its own terms (no easy task to be sure) that we start seeing what has been in front of us all along. Be saved from this perverse generation. …the Messiah will be an obviously righteous man, and the Torah commands us to obey the righteous. What you are wondering about in this day’s blog post is something (generally speaking) I wondered *out loud* here some months ago… because I have (years ago) heard the kinds of things you have now brought up (particularly about messiah. Working with what you have shared here (above originally, not only the parts I just quoted), I can make a few observations and/or guesses. First observation: what I quoted from you specifically is *slightly* different from what the person said who you are disagreeing with (not the disagreeing itself but what you disagree on). So, I have two guesses to start off with. And, of course, we know there doesn’t have to be one view in Judaism or among Jews (for better or, as the question quoted near the beginning shows, for worse in some ways). Maybe there is a knowledge that what is called “Oral Law” will not have to be carried out in the same way if at all or adhered to — whether because the world is perfect in love and prosperity and so on at that coming time, or because Messiah simply has every right to change it, or because there will be a proper Temple, or because “Oral Torah” wasn’t given at Sanai, or due to some combination of any two or more of these possibilities or any others. Second guess: One approach is nothing but circular *logic* [based on misreading to begin with] — Christianity/so-called original JforJesus [all that is acknowledged, rather than actual Apostolic teaching/testimony of Bible authors] is against Torah, so it only stands to *reason* their messiah wouldn’t want them to keep Torah. RPP’s Telushkin: ….we [and let’s be clear, the “we” referenced is not Messianic] think that continued Messianic Jewish Torah observance has the opposite effect. I also forgot to finish my first paragraph after the “AMEN” (within the parentheses). I will have to think about that, what I wanted to say there [and get back to it later]. Thank you for the fix. Some Messianic Jews still keep Torah…. But when that other part I quoted (of you quoting) follows right along, the article takes on and puts that which was before in an admittedly expected zone that seems something like Alice in Wonderland, spinning away, rather than even running with the mistaken circle. Okay, the “Telushkin” article isn’t by Telushkin. I will post the part in that article that is from a book by him, which comes after the article recommends messianics read “…Rebbe (2014), which discusses Messianist Jewish believers in the Rebbe as a once-dead Messiah figure. *All students of the Talmud are familiar with the rabbinic question, lmai nafka manna? “What are the practical implications of the question you are raising? In the spirit of lmai nafka manna?, one may ask: Why ultimately does it matter whether or not there are Chasidim who consider the Rebbe to be the Messiah? Will a contemporary Chabad rabbi, Messianist or not, issue different rulings on Jewish law as a result? No. All the laws of Judaism that a Jew is bound to observe remain binding whether one’s beliefs are about the Rebbe’s Messiahship. Thus, while there are traditional Jewish sources that speculate that many of Judaism’s ritual commandments will be suspended after the Messiah comes, no one within Chabad with whom I am familiar – even arden Messianists – holds that any Jewish laws or holidays should be observed different because he or she maintains that Menachem Mendel Schneerson is the Messiah. is that 1) they sadly misapplied their recommendation of the book; 2) you’re not reading it (the article) wrong. some sources for greater speculation. This is where people need to stick to their area of expertise. I am guessing the Aish rabbi is not a scholar of first – third century Jewish – Christian history. I believe this, “keeping torah as a witness,” is just plain dishonest. Do something because you believe it is what God wants you to do, because it is spiritually meaningful, not to please or impress others. I also don’t understand this idea that torah will be done away with at the time of Messiah, as we are told the temple will be standing and korban will be offered. I assume people will be taught and knowledge of torah will be universal. There will be more of torah dwelling in our hearts. @Marleen: I read the Telushkin book but I checked it out from the library so don’t haveit handy. @Chaya: There’s a lively discussion going on at the RPP blog about just how wrong the RPP writer is in saying that when Messiah comes the Torah will be set aside. I don’t see any use in debates where everyone has their mind made up. Certainly, our understanding of torah will change, in a marvelous and eye-opening manner. While the Bible verse given indicates fasts (or some that are mentioned) will be festivals or feasts instead, I think that’s far from meaning the Torah will be abolished (the article writer’s word choice). Other Bible verses or sections would similarly not show what the article author is trying to say (which nevertheless doesn’t mean we shouldn’t look at them to affirm such). Then, I’d be interested in the speculation more than the verses if indeed there are sources for it. Teachers who teach badly will be held to account for what they have taught that is not consonant with the Scriptures. Still, it is hard to see someone stepping out so boldly against truth when the facts are easily checked in the relevant Scriptures. The key point about Mashiach ben David’s kingdom is that the Torah will be written on the hearts of those are Believers. When Mashiach is here in person Messianic Jews and Gentiles will continue to seek to follow Torah as closely as possible, as this was always the direct teaching, and example of Yeshua haMashiach ben Yosef. The main difference between having the Ruach haKodesh to help us now to better follow Torah as a token of our future admittance into the New Covenant, and having the New Covenant enacted in us when Yeshua haMashiach ben David is ruling the planet, is that the Torah will be literally written into us so that we simply would never consider breaking Torah. Do Rabbinic Jews not read the Scriptures anymore? I have a friend who attends my Sunday night Torah study. He has been to yeshiva (don’t know where) and often speaks with men of the Jewish faith – some are Orthodox Rabbis. In speaking with the rabbis, he asks them what will happen to Torah when Messiah comes. Several have answered that all questions and arguments over Torah will end and the rabbinic authority of properly interpreting Torah will cease, as Messiah will give us the correct interpretation of Torah. I love this because as I read through the Gospels, I can’t help but see Him doing this everywhere, in His words and in His deeds. Whenever ‘tradition’ did not counter the Torah, He followed it and encouraged others to do so. It does not surprise me that some of the religious leaders of the Jewish community would accuse Paul of the same thing his contemporaries did because they misunderstood his teachings. How much more today’s leaders with 2,000 years of Christianity’s misunderstanding to back them. As to RPP, I find Messianic Judaism to be just as ‘messy’ as Judaism and Christianity. There were 24 sects of Judaism during the 2nd Temple period. How many exist today? And how many denominations in Christianity? We are all human with finite understanding. But when Messiah comes, He will explain everything! One final note: in my (mostly) weekly newsletter I shared part of a discussion on Messianic Judaism that took place at TAK Connections (a singles ministry I oversee). One of the gentlemen pointed out something Ron Cantor intimated on his last visit to Temple Aron haKodesh. My friend pointed out that right now in America, where it’s okay (for the most part) to be Jewish, we are okay at playing the role. But, he asked, when persecution comes, are we willing to stand up and protect our Jewish brethren even to the point of death? Will we still have a strong commitment to this community? Will we still don our kippah and Star-of-David? This is the commitment that will speak volumes to the Jewish community. The writer[s] of the referenced article, turns out, calls himself Messianic [and isn’t Rabbinic],Questor. It is a real head scratcher. I mean, it’s one thing to speak rhetorically of those ignorant Messianics. But that’s not (quite) what was going on in the article. As for the book (by someone else), I take it as a version of not viewing the Messiah as coming twice. So, it’s pretty sad the article author found it fitting to reapply. Are you referring to the conversation over there at RPP, Chaya? It’s been at least five years the author[s] is committed to it. 1) I think your comment fails to take the entire book of Deuteronomy into context. Was the overall intent of the Deuteronomistic history to convince Israel not to obey the Torah? I think you’ll find it difficult to make that case, unless you excerpt certain passages out of context as you’ve done here. Personally, I think we will find that some of [written] Torah is missing. [And we already know that some of the “New Testament” books (and pieces) weren’t written by the claimed authors.] But then, a list of written rules is never enough. [Nor is a freeze frame in time of people grappling with new information.] Hearts written upon won’t miss anything. It’s hard to put exactly the right meaning in words. It’s observable fact Torah can’t be fully kept now. And it wasn’t given with the instruction to conquer the world and impose it on everyone. But, again, that’s a far cry from abandoning it (another word choice of the article author). I think you can’t make sense of it, James, because it doesn’t make sense (except in the sort of nonsensical way a person who is only doing things for the “witness” — misdefined — sees it). Has v’shalom, Dudi! — Zech.8:19 merely says that Jews will rejoice on these fast days, not that fasting will cease. That refers to an attitude of approach to Torah-keeping rather than to any implication that it would not be kept at all. And there is quite a bit of implicit history that must occur between chapters 8 and 14 of the Zechariyah prophecies — far too long for Torah not to be observed and yet for non-Jews to be enabled and required to celebrate Sukkot in Jerusalem if they wish to avoid drought in their lands. There are speculations about all sorts of things in ‘Hazal, but that is far, far, far, from the notion that Judaism expects Torah observance to cease after the Messiah comes. I agree that a “witness” can never be the motivation or purpose for keeping Torah, because Torah is to be kept “lishma”, for its own sake. But the ultimate reason for continued or renewed and deepened Torah observance among Rav Yeshua’s ‘Hasidim is that our admor himself emphasized that Torah remains valid in all its finest details as long as heaven and earth endure, that the scribes and Pharisees of his day represented the Torah authority of the “seat of Moshe”, and that his own disciples were to obey their teaching while not emulating their errors in perspective or emphasis whenever such errors might occur. Further, he taught that doing and teaching Torah was a means to greatness in the kingdom of heaven, and that the opposite behavior would result in “least”-ness therein. Hence, if the Messiah whom Rav Yeshua messianists acclaim taught such things, then it is contrary in the extreme to advocate an extreme minority opinion among some mistaken Jews that Torah observance is contrary to belief in the Messiah’s having come. In this, Rabbi Telushkin errs to conclude that either ‘Habad messianists or Rav Yeshua messianists should believe any such thing. As for representatives of RPP supporting a position of “no obligation to keep Torah”, I can only respond that such a position must negatively impact their place within the kingdom of heaven as Matthew reported Rav Yeshua envisioning it. I don’t know who runs RPP, but it sounds like evangelical influence to claim that torah observance is permitted but not necessary. However, there is the evangelical method of seeking to have Jews keep torah: argument, debate, attempts to convince, proclamations by a, “name,” and there is the Jewish way: encouraging by demonstrating the beauty and benefit of torah living, and realizing that the spark is there; it just needs to be uncovered, awakened and fanned. I don’t believe anyone should keep or attempt to keep torah just because some, “authority,” told them to, and that includes Jewish authorities. @Marleen: I finally got a chance to read all of your comments and agree that the RPP writer seems to have some crossed wires as far as what Judaism in general and Telushkin in specific believes about Messiah and Torah. Since RPP does not support obligatory observance of the mitzvot for Jews, they seem to be seeing what they want to see. I had to scroll through a lot of comments to get to Yahnatan’s. Here’s the direct link to his specific statement. @Questor: The New Covenant language is pretty clear that the Torah will be written on the heart so the Jewish people will be able to observe the mitzvot in an unprecedented way, they will have their sins forgiven and will sin no more. Through our “Abrahamic” faith, we grafted in Gentiles will also be forgiven and merit everlasting life through that faith. I’m sure observant Jews study Torah diligently but we all interpret the Bible based on our biases and traditions. @Chaya: I agree that such debates won’t yield much in the way of being productive. I also agree that when Messiah returns, all of our misconceptions and misunderstandings will be corrected. @Ro: I also have heard that one of the things Messiah will do when he comes/returns, is teach the correct interpretation of Torah. This is one of the things he did when he came the first time, as you mentioned, and, since we have continued to drift from the correct interpretations of his teachings these last nearly 2,000 years, it will be a lesson he will teach again. That said, if we truly will have the Torah written on our hearts, then that interpretation will come as Divine revelation. In some ways, Messianic Judaism is a lot more “messy” than mainstream Judaism or Christianity, although I must say the dissonance between the various branches/denominations of each religion is vast. Jewish assimilation into mainstream American culture is at crisis levels right now. When persecution comes, the pressure may be too great for many secular Jews and (hopefully I’m wrong) they will abandon Jewish identity completely. Makes me wonder how many “Messianic Gentiles” will also abandon the Jewish Messiah and the Jewish people at that point. Oh, thanks for the reblog. Abandoning their Jewish identity in times of persecution didn’t prove helpful 70 years ago, and I don’t believe it will prove helpful now. Antisemitism will cause the nations to vomit out their diaspora Jewish populations, and we see this already. Sure, non-Jews who are identified with Jews, Judaism and/or Israel will be lumped together to suffer the same fate, and many will fall away, or rather, run away. Thanks for the direct link, James; I didn’t know how to do that (then decided it wouldn’t hurt to see that other article as well). I think I picked up that an author of one of the two articles (if they aren’t the same person) is British or lives in the UK. Nice writing, Chaya. I agree. Well, except the article goes beyond “permitted but not necessary” on to permitted but really something to abolish and abandon. Whether secular or “lightly” religious Jews want to face it or not, every Jew is born into a covenant relationship with God because of Sinai. That means every Jew, whether they choose to recognize this or not, is responsible for the mitzvot. You cannot separate Torah from the Jewish people and Judaism. Messiah did not come to change this, he came to call Israel to repentance, to return to the mitzvot, and to hasten the ingathering of the Jewish people to national Israel. Quote: If you consider yourself a Torah-keeper, then read Moses’ written Torah again. 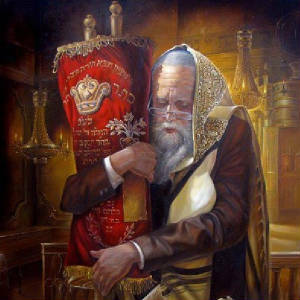 This time, feel the full weight of each command, and let the Torah condemn you as a corrupt Torah-breaker…. You are, rather, a person who lives in a state of exile. Now, there are other things one can certainly do to prove personal corruption; I don’t recommend doing them to accomplish the corrupt feeling. “Paul redefined the people of Israel, those he calls the “true Israel” and the “true circumcision” as those who had faith in the heavenly Christ, thus excluding those he called “Israel after the flesh” from his new covenant (Galatians 6:16; Philippians 3:3). He also held the view that the Torah given to Moses was valid “until Christ came,” so that even Jews are no longer “under the Torah,” nor obligated to follow the commandments or mitzvot as given to Moses (Galatians 3-4). They now have a new “Torah of Christ” that replaces the old Sinai covenant mediated by Moses with a new “Torah of Christ” (2 Corinthians 3; 1 Corinthians 9:19-21; Galatians 6:2). Most historians have agreed that we are not merely dealing with a movement “within Judaism,” but the makings of a “new religion” that comes to be called Christianity. This is not to deny Paul’s “Jewishness,” in the cultural sense of that term. He surely believes in the God of Israel, Jesus as the Messiah of Israel, and the Torah and Prophets as Scripture. But in Paul’s thinking, instead of humanity divided as “Israel and the nations” which is the classic understanding of Judaism, we have “Israel “after the flesh” (i.e., the Jewish people), non-Jews whom he calls “the nations,” (i.e., Gentiles) and a new people called “the church of God” made of all those whom he designates as “in Christ” (1 Corinthians 10:32). @Menashe Dovid: I want you to know that I debated for hours whether or not to delete your comment, particularly given some of the commentary at the Rosh Pina Project as well as your past comments on my blog. But since your entire statement is a quote from an article written by James Tabor for the Huffington Post, I figured, why not. That said, simply quoting from a Christian scholar’s perspective on Paul doesn’t mean I agree with him. Please take note that you’re skating on thin ice here and I will delete any comments that even hint at anti-missionary rhetoric. Actually, if someone is quoting an entire article or a large portion of it, convention is to provide a link. I appreciate the commentary of Christian authors indeed read their books. I have always skated in thin ice, especially in the area of letting facts getting in the way of what I want to believe. James Tabor’s comment really helps in the building of the thread/ discussion, I hope to read some of the further responses. We must understand that what Paul, Peter, James wrote can only clarify and/or interpret Torah, not contradict it. The idea that Torah is abolished or replaced contradicts what is written in Torah (or we have to redefine the term, “forever”). Indeed, this was asked/answered very clearly in Acts 15. And we may add to Jim K’s observations the oft-neglected bottom line stated at the outset of Rav Yeshua’s ministry, which was Mt.5:17-18 about not diminishing in any degree even the smallest matters of the Torah that would remain in effect as long as the heavens and earth endure. Any Christian commentary, such as that of James Tabor (apparently), that fails to apply this fundamental expectation while interpreting any portion of the apostolic literature, is entirely wrong a-priori. Hence Menashe Dovid’s quotations, that illustrate a Christian logic of supersession, are meaningless to a blog such as this one which never accepted or expressed supersessionism in the first place. There may exist Christian blogs where discussion of such material could be enlightening, to show how the error of supersession may have developed; but anyone who has read any significant amount of this blog should know already that such ideas are deemed ignorant nonsense from the start. Its a little like trying to hold an intelligent discussion of the “logic” expressed in the “Protocols of the Learned Elders of Zion” among virtually any group of Jews. Intelligent discussion of unintelligent erroneous assumptions, and ignorant and false conspiracy-theory assertions, is essentially worthless if not outright impossible. I agree Jim and PL. If we are to consider the epistles as commentary or even midrash on the Tanakh, then by definition nothing written can contradict the Torah and the Prophets. As PL pointed out in referencing Mt. 5:17-18, Yeshua did not come to abolish, delete, fold, spindle, or mutilate the Torah or the Prophets but to give them their full meaning in Messiah. This doesn’t change the Torah or the Prophets (let alone delete them) but adds dimension as God’s redemptive plan for Israel (and through Israel, the rest of the world) moves forward in an unswerving line from Genesis through the rest of the Bible. That Gentile Christianity was invented in the late first and into the second century CE and beyond, and that Gentile Christianity reinvented the Bible in its own (anti-Jewish) image in those early days, changes not the original meaning and intent of Yeshua and the Apostles, which was to forward the aforementioned redemptive plan for national Israel. Where is it gotten from that ” jesus contradicted the Torah”? He never did, but let the people look behind the words and understand the essence of the Law.